Very Vintage! Beautiful vintage style beads. Check out some of the great designs our wondeful Bead Club members came up with using vintage style beads on our facebook page - Very Vintage Competition Entries! Sparkly acrylic rhinestone connectors, with brass setting. Full strand of pretty glass shaped beads. These have a brass toned coating. 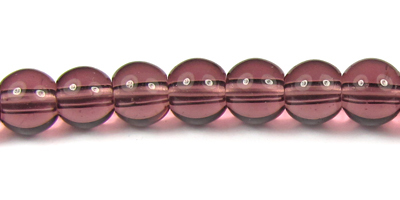 32cm strand of 8mm round glass beads. Approx. 40 beads per strand. Perfect for using as spacers.